With any update to Android, it can be good to know more than just the major features and changes. Sometimes we've got to dig into the deepest little adjustments to figure out why something is working better – or worse – than before. We've now got the changelogs posted for all of the Android versions released yesterday, including both the major update to Android 6.0 Marshmallow and the much smaller 5.1.1 security updates for October. The v5.1.1 updates aren't very exciting since they only account for about a dozen security fixes. The changelogs may not even be the best way to read about what has changed because there's a post in the Android Security Updates group that lists each of the issues that have been resolved with this month's updates. T-Mobile began rolling out security-centric updates to Nexus devices yesterday. As we already know, there aren't any big changes due out in this release, but Google has pushed the latest code up to the Android Open Source Project (AOSP) for the world to see. As usual, we've put together a changelog for easy reading. Updates for T-Mobile devices are built from a dedicated branch in AOSP with custom code to support the Wi-Fi calling feature. As it turns out, the list of changes for this update to LMY48M closely resembles the r6 to r9 update from last month, otherwise known as the update that (mostly) fixed Stagefright. Earlier today, Google released updated factory images for all of its supported Nexus devices to patch up some reasonably serious vulnerabilities in a core Android library called Stagefright. While we await the stream of OTAs that are sure to follow, there's a fresh code drop to the Android Open Source Project containing security-related patches. Don't expect to see any new features or user-facing changes, this one is all about closing loopholes. Nevertheless, there are some interesting things to peek at. A quick look at the changelog shows the highest concentration of fixes were made to frameworks/av (audio/visual), which is used extensively in the Stagefright library. 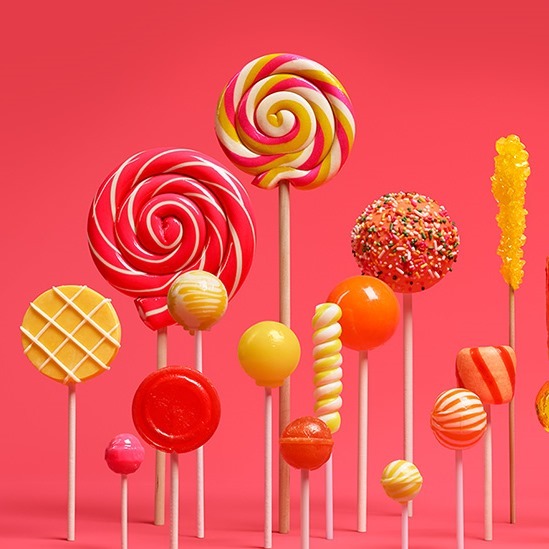 It seems like the only thing anybody can talk about is Android M, but we should remember that we've got about 4 more months with Lollipop v5.1.1 as the current version until Mango Mojito (probably not) is officially released in October. This is no more apparent than when an update appears on AOSP and brings with it thousands of changes. In fact, this update is large enough it probably deserved more than a barely noticeable revision bump. The code drop for LYZ28E comes a bit later than expected, since the build number was first seen in a Nexus 6 update that began rolling out a month ago. The Android M Developer Preview was released just yesterday and we're all very closely examining the changes. While there's still quite a bit to dig through, it looks like Google is getting some of the source code up right away. Before anybody gets too excited, it's likely that this code dump occurred to ensure GPL compliance. However, there are quite a few projects in the changelog that wouldn't normally require updates due to licensing, so there may be quite a bit more going live on this release. The entire changelog totals about 29,000 commits and weighs in at about 4.7 MB. It's not entirely clear where the official starting point would be, but we generated the changelog from 5.1.1_r4, which is currently the latest release available. 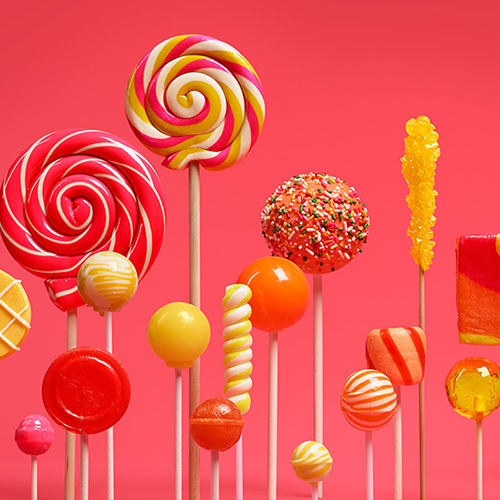 When a new version of Android hits, we want to know what's inside of its candy-coated shell. One of the best ways to discover all of the new treats is to read through the developer comments located in the Android Open Source Project. We've downloaded the code and generated a changelog of every single modification made between v5.1.0_r5 (LMY47O) and the newly released v5.1.1_r1 (LMY47V). If you'd like to read through the changes, hit the link below for the full changelog. If you're a ROM developer, or just in the mood to poke around the latest Android source code, you'll be excited to know that 5.1.1 has just been uploaded to AOSP. The tag for this release is 5.1.1_r1, and it carries the build number LMY47V. A factory image is already available for the Nexus Player, and the rest of the Nexus family will probably stabilize on this version over the coming weeks. We already know Google claims to have fixed a significant memory leak with this release, and we can probably expect a few other fixes to join the show. 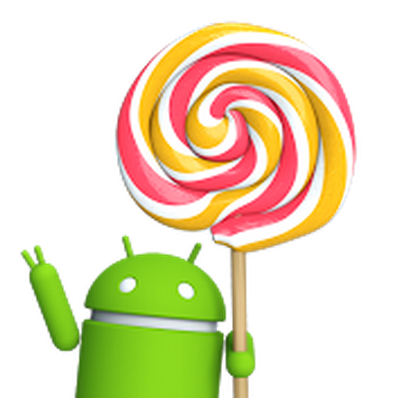 As if it wasn't already news, Apple announ... Android 5.1 is officially launching today. While the latest version already made its debut on a few Android One phones, the rest of us have been (impatiently) waiting for our chance to check it out on some Nexus hardware. We're still looking for OTA packages and factory images, but it looks like Google is already busy uploading the source code to the Android Open Source Project (AOSP). At the time of this post, the code push is only just getting started. 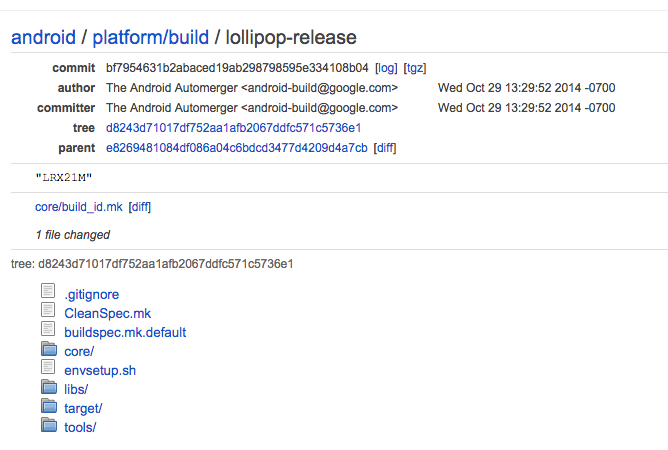 Branches with the name lollipop-mr1-release are starting to appear under an assortment of different projects, but there are still no tags and most of the main repositories have gone untouched. No release of Android feels complete until it's sitting in AOSP. 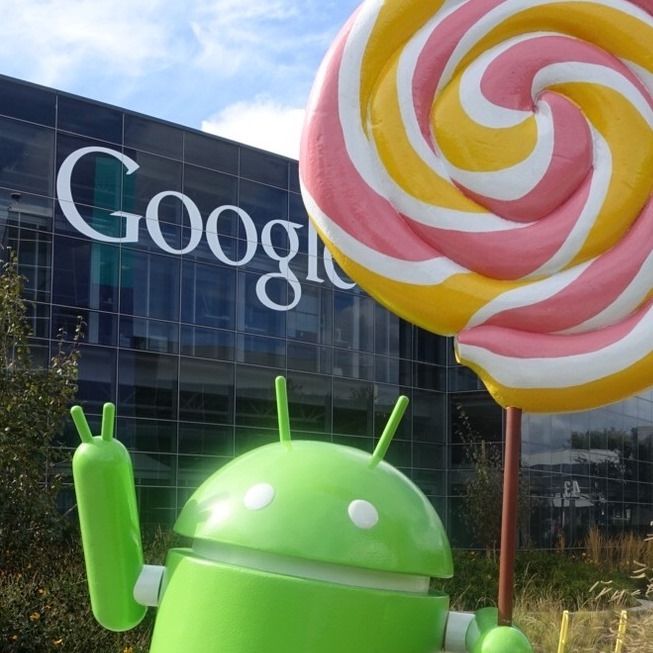 The time has come and Google is now uploading Lollipop to the Android Open Source Project. That's every line of code, every resource, and every config file – the result of a year of work by Google's crack team of developers. Given the likely size of this release and everything we've seen in the past, this code dump could take several hours to complete. 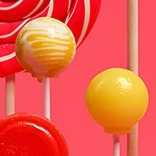 The new branch is titled lollipop-release. The official release tag hasn't been posted yet, but it should be named android-5.0_r1 [it's android-5.0.0-r1 and android-5.0.0_r2] when it hits.